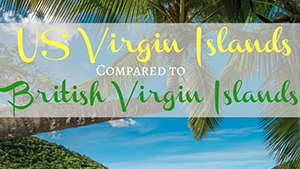 The British Virgin Islands (BVI), officially simply "Virgin Islands", are a British Overseas Territory in the Caribbean, to the east of Puerto Rico. The islands are geographically part of the Virgin Islands archipelago and are located in the Leeward Islands of the Lesser Antilles. The British Virgin Islands consist of the main islands of Tortola, Virgin Gorda, Anegada, and Jost Van Dyke, along with over 50 other smaller islands and cays. About 15 of the islands are inhabited. The capital, Road Town, is on Tortola, the largest island, which is about 20 km (12 mi) long and 5 km (3 mi) wide. The islands had a population of about 28,000 at the 2010 Census, of whom approximately 23,500 lived on Tortola. For the islands, the latest United Nations estimate (2016) is 30,661. 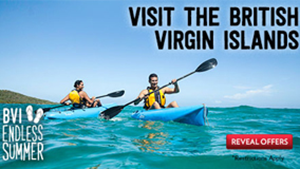 British Virgin Islanders are British Overseas Territories citizens and since 2002 are British citizens as well. Although the territory is not part of the European Union and not directly subject to EU law, British Virgin Islanders are deemed to be citizens of the EU by virtue of their British citizenship.